I spent a wonderful several days in the company of some of my favorite people in Salt Lake City, Utah last week. I took a photo of the Handi Quilter building, but the sun glare killed it. I really need to learn how to take a proper photo, but that won't happen for quite some time. The sun didn't kill the photo of the business down the way from Handi Quilter, though. Jack Black, anyone? Wow, I just noticed that I'm in that photo. Blue sweater, brown handbag, black pants. Ever fashionable am I. Working weekends has definitely helped in my quest for organization. Every Monday morning I go grocery shopping and spend until noon cooking for the week. Today I cooked up 10 pounds of chicken yielding many cups of cooked chicken for the freezer and a gallon of broth. Once that was done, it was easy to whip up 3 chicken potpies (now in the freezer). All that yummy chicken and broth reminded me of the lettuce wraps I had last week in Salt Lake City (can't remember the name of the restaurant, sorry), so I made chicken lettuce wraps and vegetable lo mein. We ate it tonight and it rocked! I also chopped up all my vegetables for the week and cooked up a bunch of pasta. The daughter usually zaps some after school for lunch. Since I'm out of town a lot, I cook many meals ahead. I wouldn't want my two nearest and dearest starving in my absence. A full freezer makes me happy. If you ever fly cross-country, take more than one book with you. If you choose not to take this advice, you will only be able to read 190 pages on the way to Utah and have to save the other 190 pages for the flight home. Another hint -- if you only take one book, make sure it isn't Sinner by Ted Dekker. In a word.... meh. This WIP (work in progress) won't be finished any time soon. It's name is Ping and it was a block of the month from Pinwheels. I am absolutely smitten with Daiwabo fabrics, and this uses hundreds of different ones. Bliss! It is English paper pieced and very time consuming, but it's been a great travel project. A week's worth of hand work can be transported in a small zippered bag. Those stars will eventually be appliqued onto larger squares. I have 11 of 20 stars pieced. This WIP may show up in "working on..." many more times over many more months years. Once upon a time, I had a dear friend. We were pregnant together and both had little girls. We kept each other sane. One day, the big bad company transferred her husband thousands of miles away and my friend left me behind. We kept in touch and visited with each other whenever we were in the neighborhood. Unfortunately, that wasn't very often. Several years later, the big bad company tried to redeem itself by moving my dear friend back to my time zone. We still see each other whenever we're in the neighborhood, but that's much more often now. Last week, I was in her neighborhood and we went to the Philadelphia Museum of Art to see the Quilts from Gees Bend. They were beautiful in a different way than the quilts I see every day in my job. These women used whatever they had and didn't stress over perfection, but they were beautiful anyway. 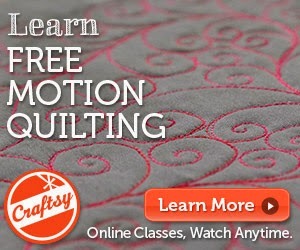 Even though I don't think I'm going to stop using precision quilting techniques, there are things I learned from these quilts that will enhance my own quilts. I haven't seen them since my wedding. We had a lot of catching up to do! Scroll down to "Contents". See that Christmas bed scarf? I quilted that. I'm done tooting my own horn. I posted about a Jodi Picoult book a few weeks ago and Kelly Simmons left a comment. Kelly suggested that I read her book, Standing Still. Ever the obedient one, I did just that. I started it while working in Philadelphia last weekend and finished it at home. As in, I started reading it the minute my eyes opened and was late for church because I couldn't not finish it. This is a book that made me go "hmmmmmmmmmmm". Have you heard the description of an iceberg where 90% of the ice is below the surface of the water? Well, 90% of the story took place outside of the book. I think I really, really like that. For other obedient ones just waiting for instructions....... GO READ THIS BOOK!